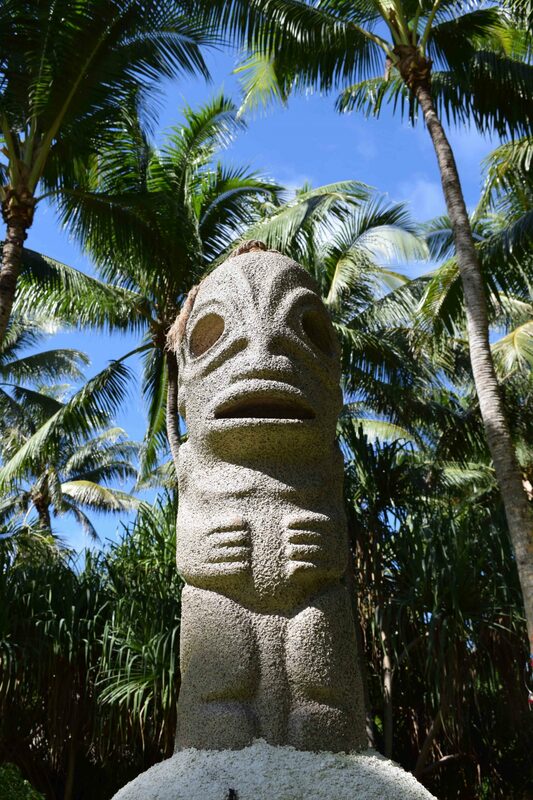 Having made a short flight from neighbouring island Mo’orea (read my Mo’orea post here), we arrived at Bora Bora airport which rests on one of the motu (islets) that surround the main settlement of Vaitape. A water taxi (a boat!) 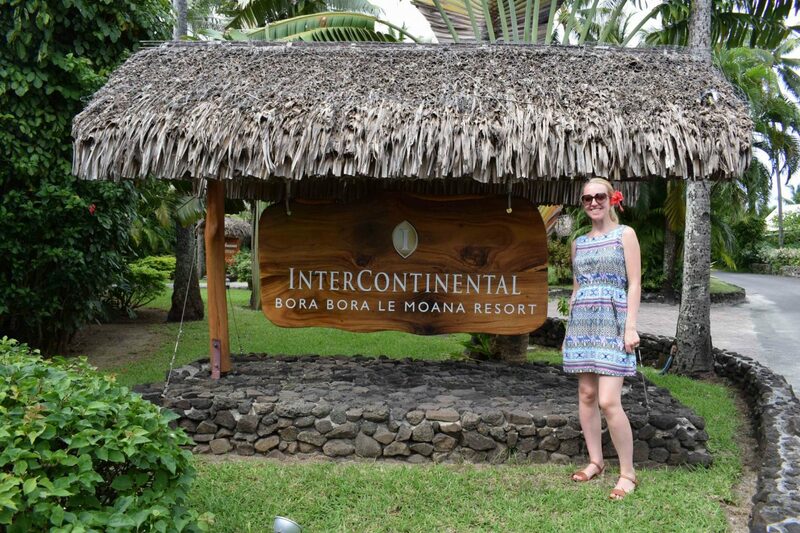 was waiting for us on arrival to take us to our home for the week, the Intercontinental Bora Bora Le Moana Resort. 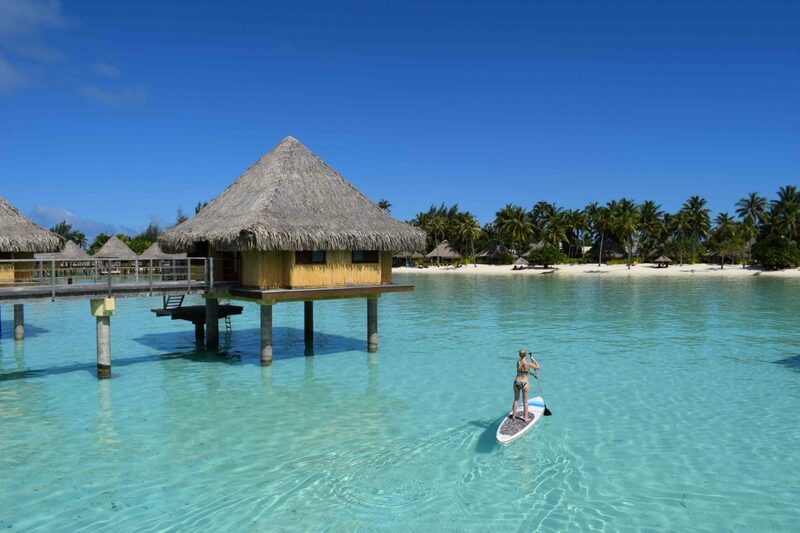 Bora Bora is significantly more picturesque than the other French Polynesian islands – the surrounding waters are glistening light turquoise and the sands are soft and almost pure white. 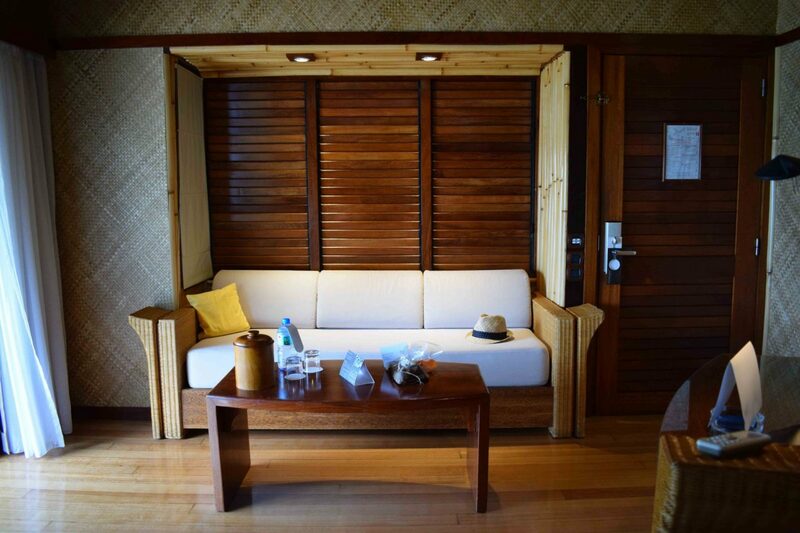 All of this comes with a heavier price tag though, so we ‘downgraded’ from the overwater bungalow of Mo’orea to a slightly less extravagant but equally as lux beach bungalow! This actually worked out better for us as, unlike any other beach resort I’ve ever been to, the beaches were near empty and we had a private stretch of coast line all to ourselves with our little lux beach hut. The island is super exclusive, and the resorts pride themselves on their privacy for couples, honeymooners, and celebs alike. 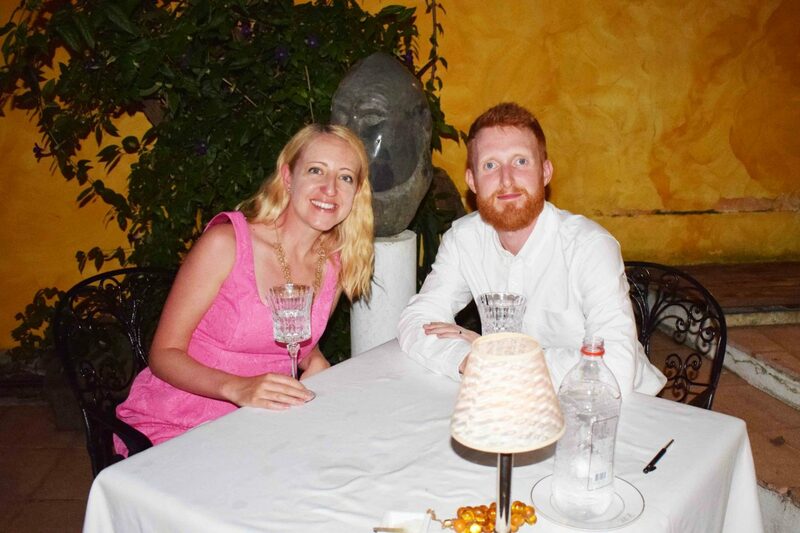 It was bliss coming from a manic month of wedding fun in ever over crowded London! 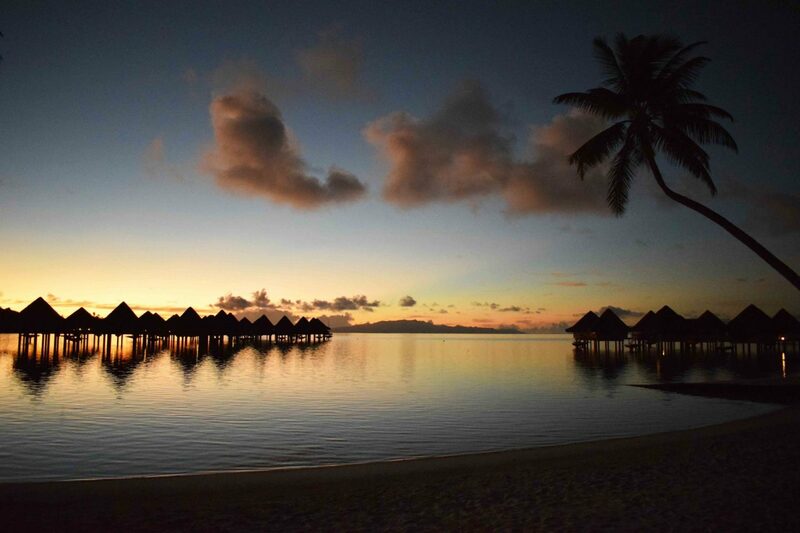 Unlike our slightly more adventure-packed visit to Mo’orea, Bora Bora felt like a quieter, more relaxed, destination. 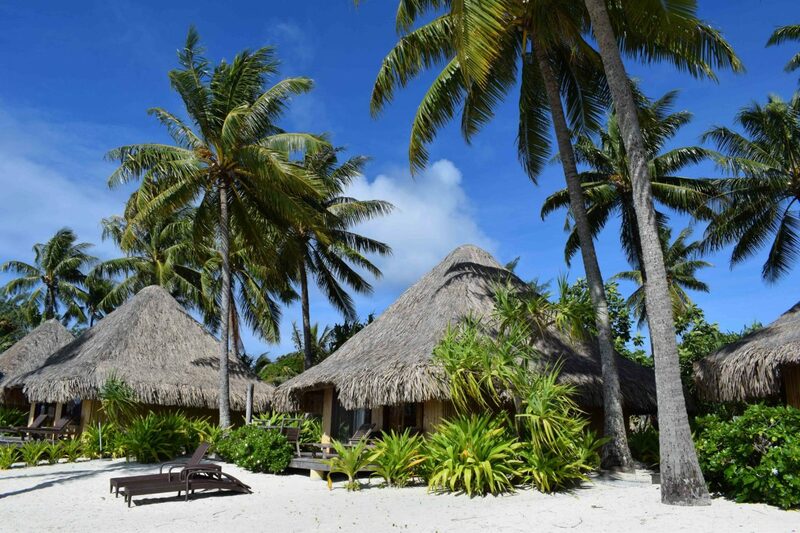 Whilst you still have the option to go hiking, biking or jet-skiing, we opted to canoe ourselves around the surrounding area and motu. This proved to be strenuous enough for us in the baking South Pacific sun! 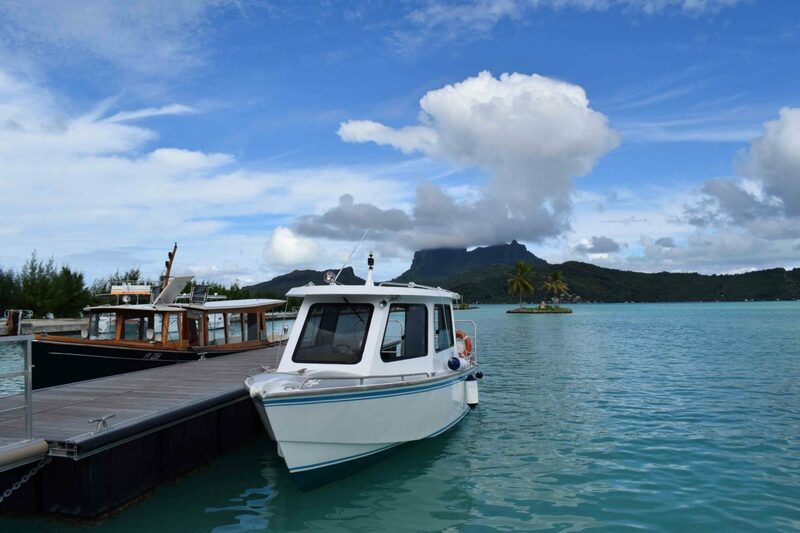 Bora Bora is most certainly a foodie paradise and restaurants will generally arrange transportation to and from your hotel regardless of where they are based on the island, mostly by luxury boat or speedboat – which of course I loved. 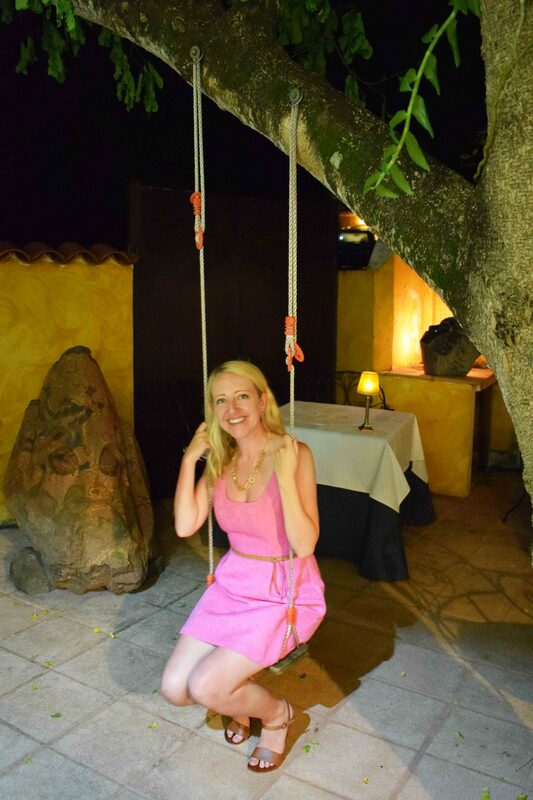 As the island regularly caters to the rich and famous, we weren’t stuck for places to eat, but below is a few of my favs from our time on this beautiful island. 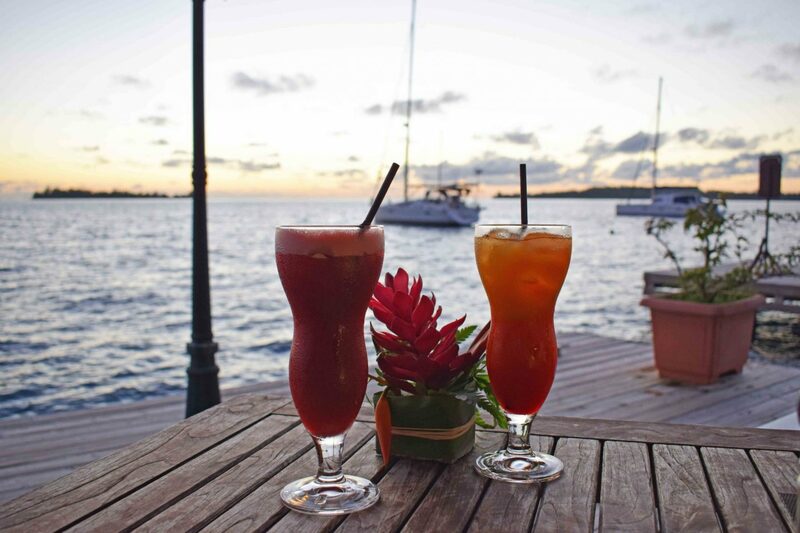 Whilst probably the least impressive food-wise of my three choices, the Bora Bora Yacht Club offers unrivalled sunset views over the Pacific Ocean whilst enjoying a more casual dining experience. 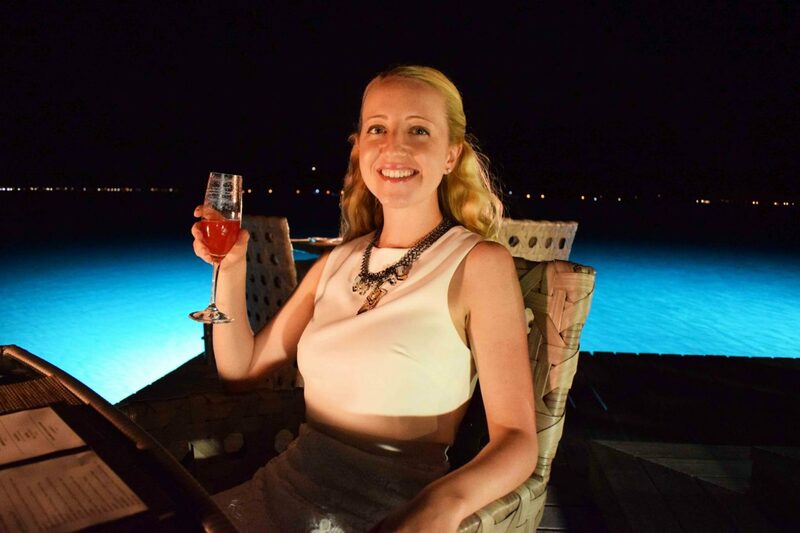 It was on the opposite side of the island from our beach bungalow, so getting there involved a less glam taxi experience by road – but the sunset and the cocktails were to die for. This restaurant is housed in the famous St Regis hotel, and offers alfresco dining with spectacular sunset views of Mount Otemanu. 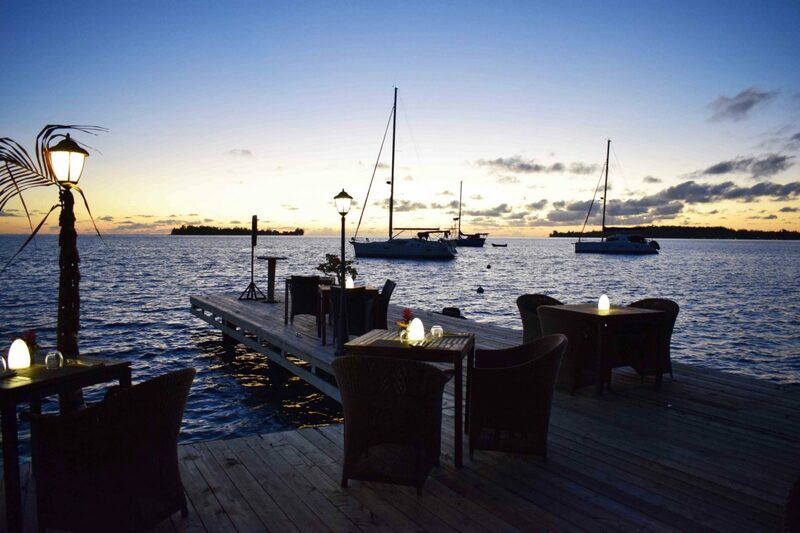 When the sun has set, the hotel lights up the waters of the surrounding lagoon and decking, so you can watch the fish swimming below whilst you enjoy a few cocktails. 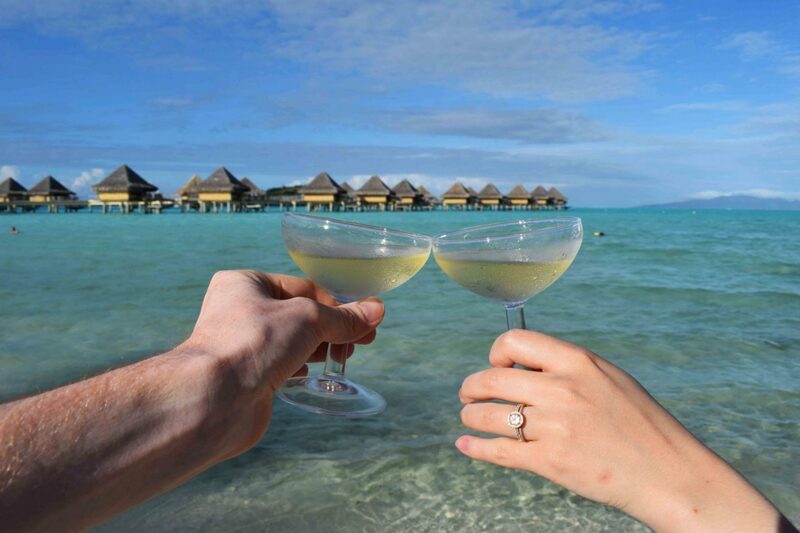 True honeymoon bliss. The Mahi Mahi (locally caught fish) is a must! The freshest and most succulent fish I have ever had! 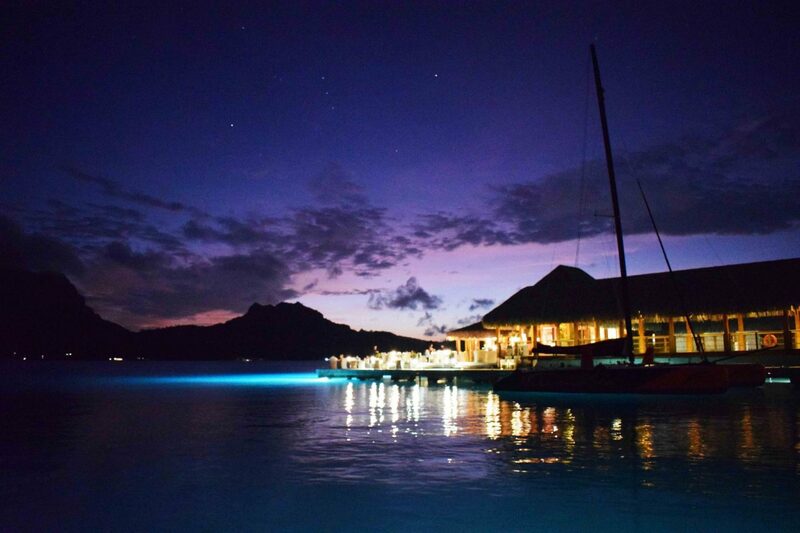 Without a doubt the best restaurant in Bora Bora, and most expensive we experienced, was La Villa Mahana. 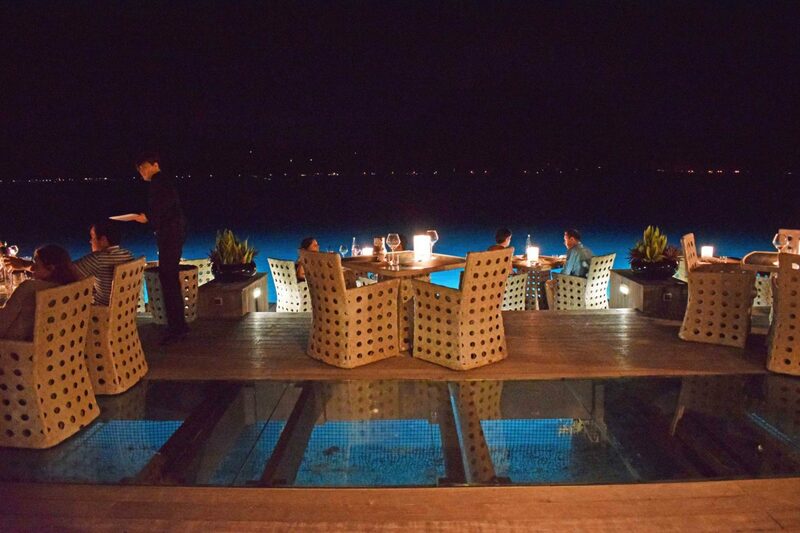 We actually had to reserve a table here several months before we travelled to French Polynesia (the restaurant only hosts 10-15 guests per night). The restaurant is owned by a famous Corsican chef who has infused Mediterranean cooking techniques with local Polynesian ingredients. If you’ve come this far, and managed to secure a table, I’d suggest that it’s worth going all out and getting one of the tasting menus. After a week of chilling, eating, drinking, and occasional paddle boarding in Bora Bora, we unfortunately had to leave this little heaven on earth for honeymoon pastures new. We travelled back to the biggest French Polynesian island, Tahiti, for two final days before flying back to civilization… the city of angels, Los Angeles. 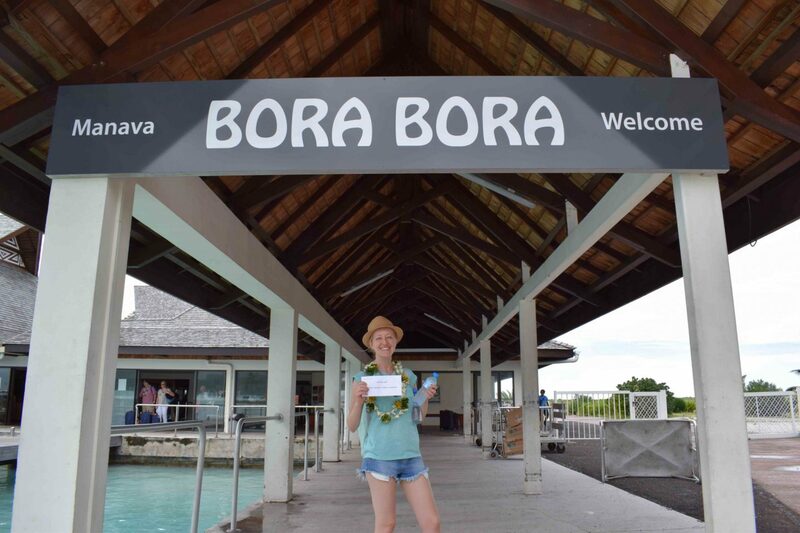 However, we definitely left a little piece of our hearts in Bora Bora, even if we didn’t leave a padlock…! 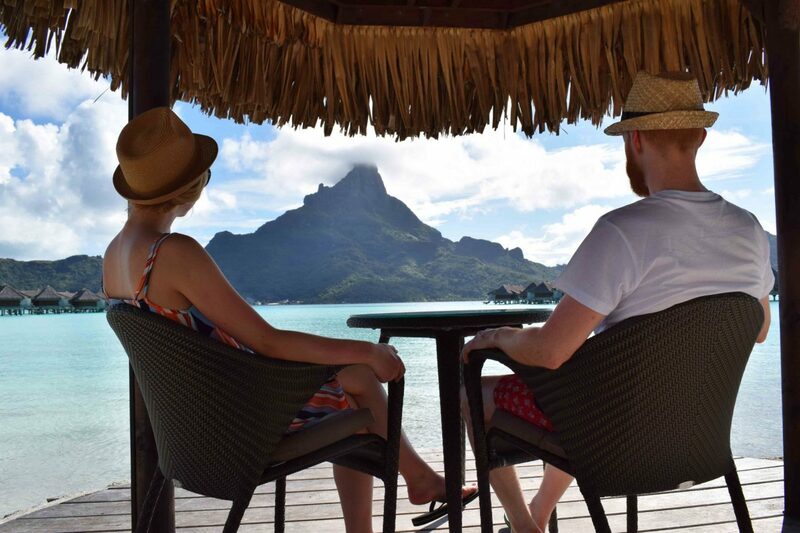 Read my Honeymoon Diaries Part 1 – Mo’orea to find out a bit more about getting to French Polynesia. 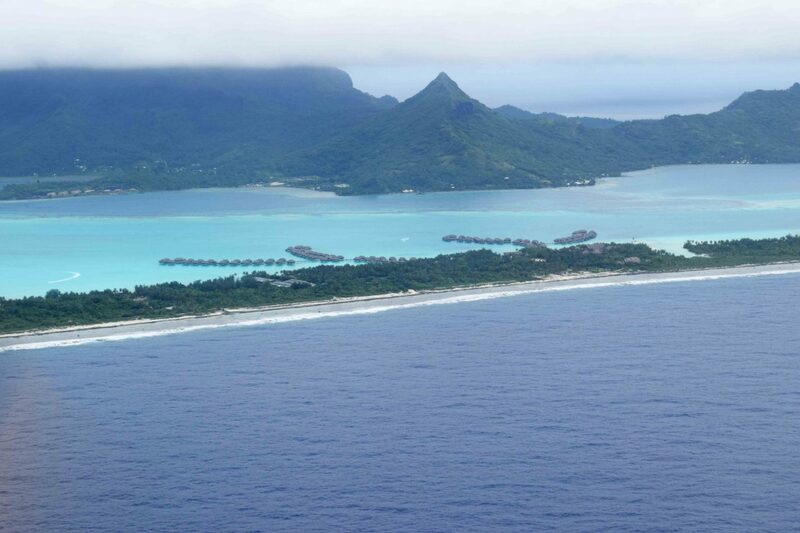 We booked our flights to French Polynesia through the BA and Air France sales (both at different times). 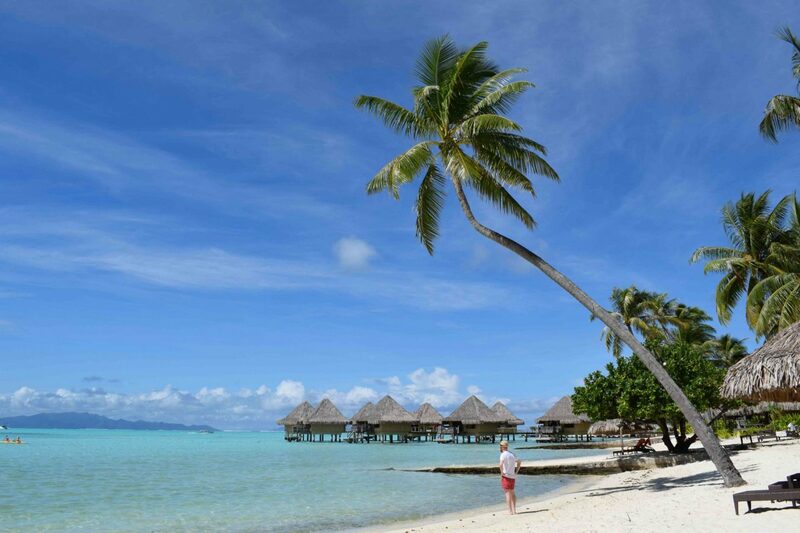 We flew BA from London Heathrow (LHR) to Los Angeles (LAX), and Air France from Los Angeles (LAX) to Tahiti (PPT). 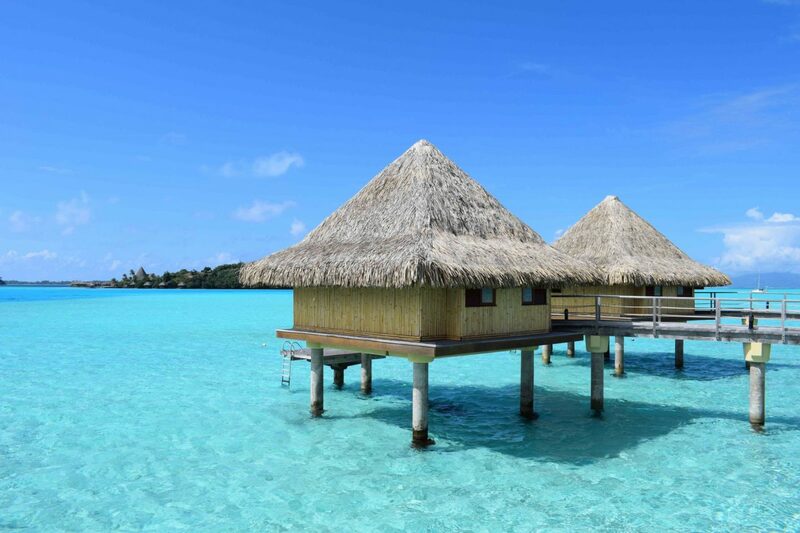 Internal flights and accommodation within French Polynesia were booked through Easy Tahiti, a local travel agent – but researched and tweaked by us. This allowed us to pay in US Dollars, as opposed to Pound Sterling, which offered significant savings at the time. 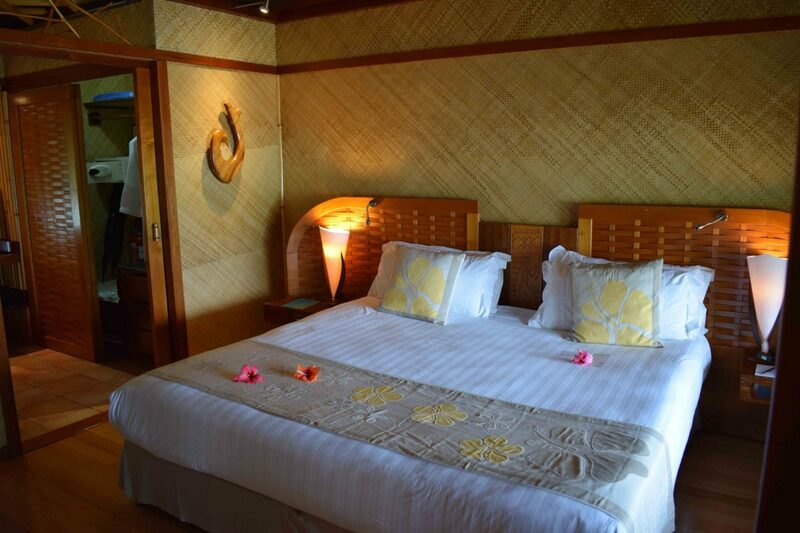 In Bora Bora we stayed in an beach bungalow at the Intercontinental Bora Bora Le Moana Resort. We travelled in May 2016.